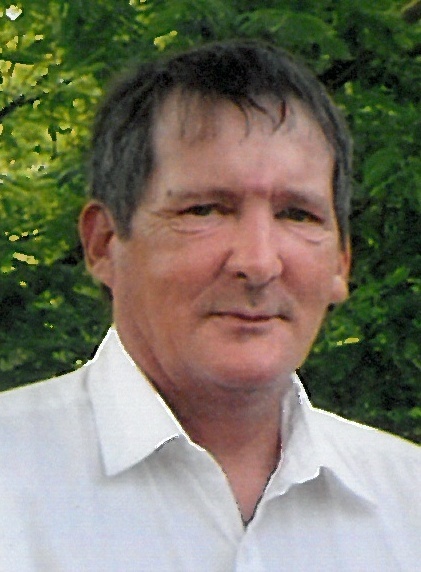 CLOVERDALE - Richard J. Wurth, 59, of Cloverdale, died at 6:27 p.m. Thursday, August 23, 2018 at Mercy Health St. Rita's Medical Center, Lima. He was born September 8, 1958 in Lima to Richard and Edna (Wiechart) Wurth. His father is deceased, his mother survives in Cloverdale. On November 30, 1985 he married Robin Maag who survives in Cloverdale. Also surviving are two children, Alex Wurth of Cloverdale and Sarah (Aaron) Koch of Columbus Grove; a granddaughter, Eleanor Koch of Columbus Grove; and ten siblings, Marge (Robert) Kohls, Terry (Gene) Dickman, Denise (Hans) Schwaiger, Mark (Tammy) Wurth, Brenda (Ken) Hermiller, Glen (Kelly) Wurth, Brian Wurth, Chris (Sandy) Wurth, Myra (Steve) Fersch, and Gina (Angel) Lopez-Wurth. Richard was a construction worker and had also worked for Sash and Storm Windows in Lima. He attended St. Barbara's Catholic Church, Cloverdale. Richard loved the outdoors, fishing, hunting, and hanging out with his friends. A Funeral Service will be held at 10:30 a.m. Monday, August 27, 2018 at LOVE-HEITMEYER FUNERAL HOME, Jackson Township with The Very Reverend Jerome Schetter officiating. Burial will follow in St. Barbara's Cemetery, Cloverdale. Visitation will be from 2 to 4 p.m. and 6 to 8 p.m. on Sunday at the funeral home where there will be a Scripture Service at 1:45 p.m.